I’ll start this week’ blog thanking the pupils and staff who attended the ‘A’ Team Football Rally last weekend and also those who attended the Girls’ Football Rally the weekend before. They were two great events and although I wasn’t able to get to either this year, the PE Team reported back to me and we celebrated both events in our usual way during our Friday Achievers’ Assemblies. These two events bring the football season to a close and we can now move on with the summer team events which Mr Miley and Miss Gooderham are planning and booking as we speak. Thank you to all of you who have supported the many football fixtures over the course of the year and helped with transport. It is always appreciated and without your help, the events wouldn’t happen. On Monday lunchtime I joined in a small ‘kick-about’ with a few Year 3s. We were soon joined by a Year 4 (dressed as a Roman) and a couple of Year 5s but is was a low-key affair. It was effectively ‘Thomas C and Me V…’ but was great fun. On Tuesday, we were joined by a few more pupils and likewise again on Wednesday. By Thursday it was a 20-a-side match! Thomas C and I were still on the same team but joined by members of 3EM (including Miss McGurk), several Year 5s and a few Year 6s. The other team was effectively 3TL and 4GD. It was great fun and I hope proved to all who played that you don’t need a referee and VAR in a primary school lunchtime football match and the result really doesn’t matter. Thomas C (Year 3) particularly impressed me with his attitude on all four days and proved to be an excellent role-model for his peers. Well done, and thank you! On Monday afternoon, I attended the inaugural ‘Tea and Targets’ event (our SEND coffee afternoon) at Highbury. Mrs McConnell Smith planned this session to give parents of pupils who receive additional support at Highbury and Whitehill the chance to put faces to names, see some resources and also hear a little bit about the support package we offer and also the processes we go through to get there. It was a very well attended event and plans are already in place for a follow-up session in the summer term. 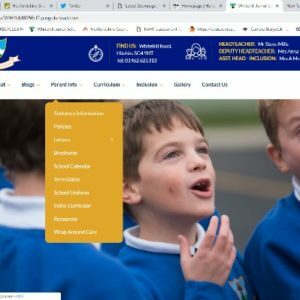 Details of our SEND ‘Local Offer’ are on the school website. On Tuesday after school, we took part in a hockey tournament at Hitchin Boys’ School. The three boys and three girls played a series of four-a-side games against other local schools and after goal difference was taken into account, they finished a commendable seventh, however there is no doubt we won the prize for the most impressive socks! Our newest governor, Mr Weir, was in school on Wednesday morning. We spent time looking at several of the school’s current development priorities before enjoying a wander around the classes, chatting to teachers and pupils. One thing I have introduced recently, which is still in its infancy, is a class ‘rep’ who will welcome visitors when they enter a classroom and talk about the work the pupils are currently doing. Four of the classes we visited did just this, including Agnes in 3EM and Elias in 6TB. I think this is a great feature and brings a different aspect to learning walks. We will continue to develop this practice over the summer term. At the end of the morning, Mr Weir joined the whole school in a special assembly led by Katie’s Jumping Fleas! This local ukulele band was spotted by Mrs Vernon who then managed to get them to visit. To be honest, we didn’t really know what to expect but the short interactive concert will probably go down in my list of the top five events of my headship to date. As Mrs Beresford announced as she brought the morning to a close, it was truly ‘magical’ and lifted everyone’s spirits. Apparently, I was seen to move in time to the music (I won’t use the word ‘dance’) which is just unheard of. This showcase also gave our Year 6s the opportunity to show off what they have learned in their ukulele lessons at the start of the year. The bonus was also the £100 donation we were able to make towards Katie’s Jumping Fleas’ chosen charity thanks to donations from parents and pupils. Music continued in school on Thursday morning when Mr Brunton showcased the work the Year 5 pupils have been doing with him in their woodwind lessons. We love music at Whitehill, hence the reason we fund opportunities for all Year 5 pupils to learn either the flute or the clarinet. We are so lucky to have Mr Brunton work with our pupils not only teaching the instruments but also looking at aspects of composition and music appreciation. The hope is pupils will go on and carry on learning an instrument when they move into Year 6 and some of these pupils performed for us on Thursday. Some of our younger pupils also performed, including a very talented Lena (Year 4) on the flute. Well done to all who took part, especially our soloists. On Thursday afternoon we had a group of Year 4s take part in a tag rugby festival – another event organised by the School Sports Partnership. The ‘amazing’ Miss Gooderham (parents’ words) took the team to Letchworth Rugby Club and had a great time. There was one great tweet I read from the event which stated that a couple of parents were helping coach the players whilst others were informing Miss Gooderham that players were scoring tries and not goals! Well, she is a footballer! Although it was a festival and results didn’t matter, I was reliably and enthusiastically informed by our players that they played five games, winning four and drawing one. Well done team! As I headed off to a county NAHT meeting, we had netball teams heading over to Highover for a couple of matches. It was a lovely evening for sport and the pupils played really well. As we approach the end of term, we also reach the end of the netball season with just the Rallies left. Both of these take place shortly after the break and the pupils will continue practising until we get there. I was off site on Friday with my leadership team and therefore our Achievers’ Assembly was led by Mrs Burniston in my absence. Music was provided by Joshua P and I would like to thank Lara (Year 6) for making sure we have live music at the beginning and end of these assemblies. Class of the Week was awarded to 3EM and Fire won the House Cup this week. 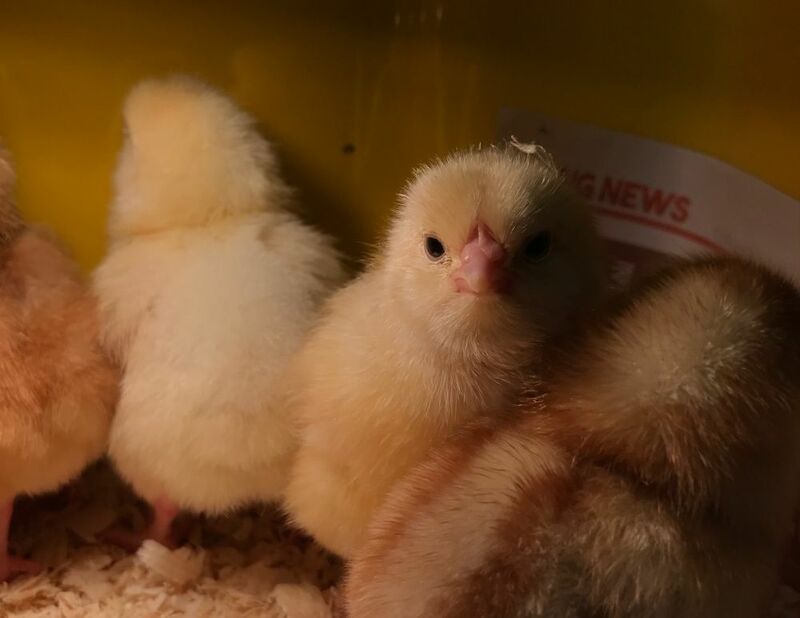 Another ongoing event this week has been the arrival of the chicks in Year 5. 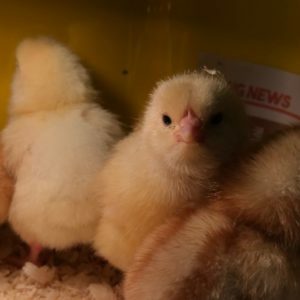 I think many of you have been glued to our twitter feed to see footage of chicks hatching and then daily tweets of ‘cute yellow balls of fluff’. Every morning this week, before the pupils arrive, the staff could all be found crouched around two runs and incubator checking on the chicks’ progress. I have no doubt you will be kept updated on a daily (hourly) basis with the chicks’ development including what the pupils end up calling them. Next week is the final week of the Spring Term and a themed week in school. 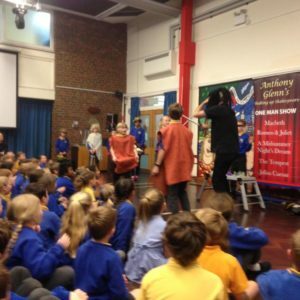 Mrs Beresford has been working very hard to organise our Shakespeare Week which includes performances and workshops, including the return of Anthony Glenn and his ‘one man (many pupils) show’. All pupils will be linking their English work next week to one of Shakespeare’s plays and we will then come together next Friday for a celebration assembly. After school on Tuesday and Wednesday, we have our two parent consultation evenings. The booking system closed this morning and therefore if you have left it to the last minute and didn’t quite get booked in time, please now contact the school office. When you come to your appointments next week, we have a couple of things to look out for. Firstly, we will have our annual parent surveys out in the dining room for you to complete. Thank you in advance for taking the time to fill out a questionnaire. I will have two of our recent large purchases, courtesy of the Friends’ Association, on display. There will be a nearly new uniform sale should you need to top up and there will also be an opportunity to purchase tea and coffee in aid of the Super Seraph fundraising campaign. I would suggest giving yourselves a few extra minutes to take it all in. That’s it for today. A reminder that term ends at 1.30pm next Friday and we return to school on Tuesday 23rd April.